From Pink to Prevention supported by Unison, the Alliance for Cancer Prevention and the Breast Cancer Consortium are very pleased to invite you to the launch of So Much to Be Done, a book of writings by the late Barbara Brenner, with readings by her partner of 38 years Susie Lampert. The London event is part of a series of events across the UK and the EU. Barbara was an influential writer, activist and campaigner. She spent 15 years as the director of the organisation Breast Cancer Action based in San Francisco. 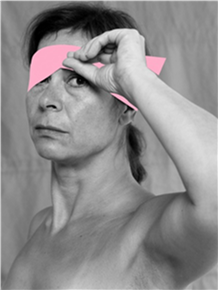 Her passionate, insightful and challenging commentary on the commodified world of the pink ribbon and the resulting ‘pinkwashing’ of breast cancer changed the conversation around the issue forever. The event runs from 6pm – 8pm on October 31st. The event is free but places must be booked by contacting Tracey Ayton Harding at UNISON healthandsafety@unison.co.uk or From Pink to Prevention at info@frompinktoprevention.org to reserve your place. Tea, coffee and snacks will be provided. There will be a discussion after the reading which will raise questions as to why, throughout this and every October, there is so little focus on breast cancer prevention and the known environmental and occupational risk factors for the disease. You can download our poster and more information on the event here. For more information on the book reading organised by Pesticide Action Network UK in Brighton see here. Interviews by Susie Lampert on Rising Up with Sonali and CBS San Francisco.